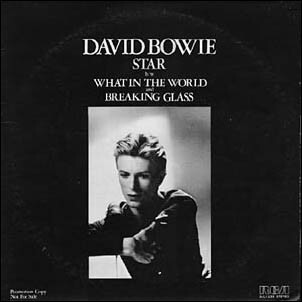 David Bowie - Illustrated db Discography > Star 12"
Promotional 12" with live versions from Stage, pressed on white vinyl. This 12" has been counterfeited on black vinyl. 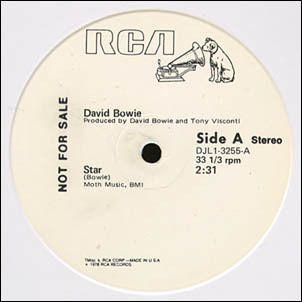 Label of the RCA DJL1-3255 promo.